This holiday Trader Joe's have been selling 'Real Mistletoe' in cute little old fashion-inspired boxes. On the back of each box is stated "Our real mistletoe is hand harvested in the Pacific Northwest. Perserved naturally, it will last all season long. Hand from a doorway and steal a kiss from your sweetie!" 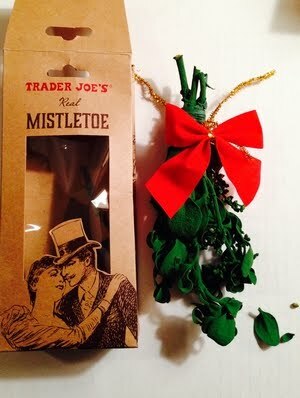 Trader Joe's Real Mistletoe. Photo © Botanical Accuracy. Now, the first question we would ask, is of course, is it real? Well, it is a product of nature. The plant inside the box is a real dried plant, not something molded and plastic. So yes, it is real. (Of course plastic is also real, formed by atoms and electrons and chemical bonds, etc. It all depends of your definition of 'real'. 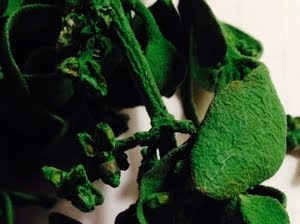 However, this is a dried plant dipped in paint. There is no information of what the paint contains, neither does it say anywhere on the package that the mistletoe is painted. Instead it says 'preserved naturally' on the back of the package. That brings us into the sticky territory of "what is natural?". 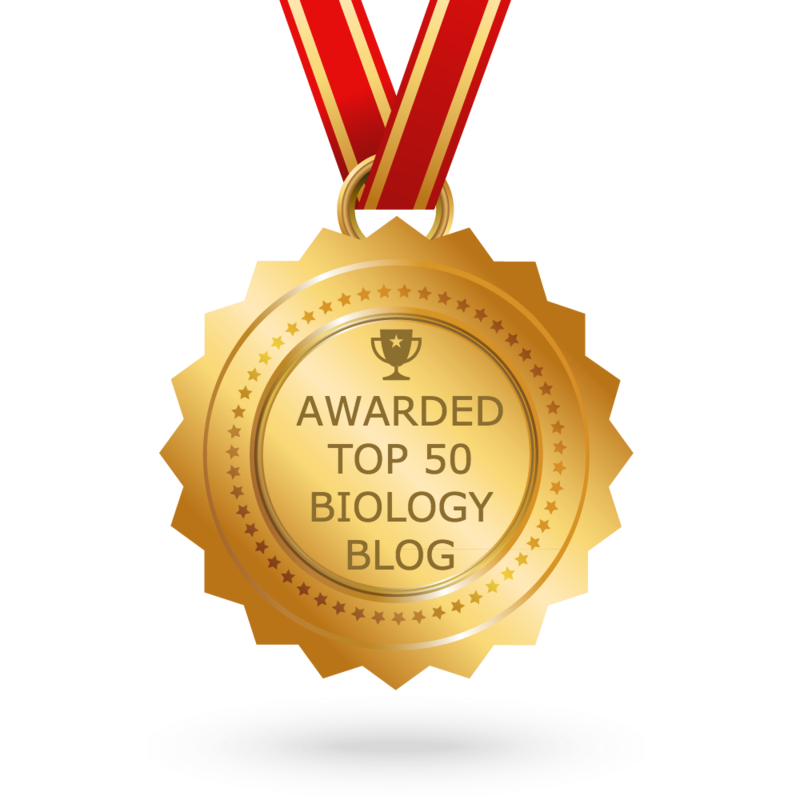 There are a lot of natural things in the world that we usually do not associate with the marketing term 'natural', such as uranium radiation, cancer, gold, DNA mutations, strychnine, and methane. Natural simply means it is something that exist in nature by itself, something we humans haven't created. There is no legal definition of natural. There is no way to know if humans created this green paint on this mistletoe, or the dye or paint was mixed by 'natural ingredients'. So, this is just another case of the use of 'natural' in marketing in a way that is ambiguous and uncertain. One thing is for certain though, a normal (natural) mistletoe has a greenish yellow or yellowish greenish color, and is never this dark green. Trader Joe's helped nature a bit with the color here. Mistletoe dipped in paint. Photo © Botanical Accuracy. Phoradendron leucocarpum, not Viscum album. Photo © Botanical Accuracy. So, in conclusion, is this real mistletoe? Yes, it is a real plant, but painted. 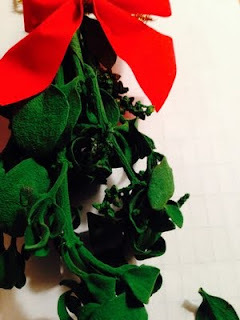 Yes, it is mistletoe, but not the species that is historically associated with Christmas kisses. As usual, what is real really depends on your definition. And yes, it is a real mistletoe, a plant from the mistletoe order. Would I hang up this dried painted breakable mistletoe in my house? Never. In my mind, this is not at all the real mistletoe of old Christmas traditions. 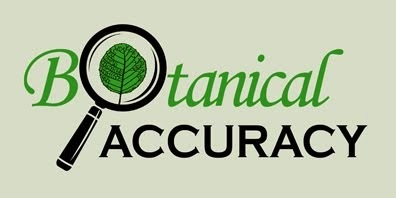 For more on botanical accuracies and inaccuracies on mistletoes, here is a link to a post from earlier, explaining the difference between mistletoes and hollies.